We have all colors and any lengths of seamless gutters available. Starting at $1.69 per foot. We also deliver! 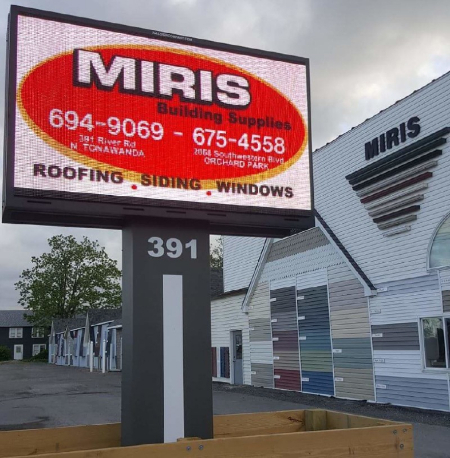 If you are looking for durable, high-quality gutters in the WNY area, look no further. 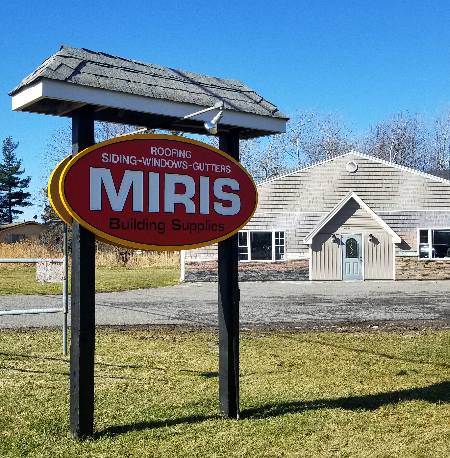 At MIRIS, we also stock all of the downspouts, elbows, and accessories needed for your gutter project. We have several gutter trucks at your service. 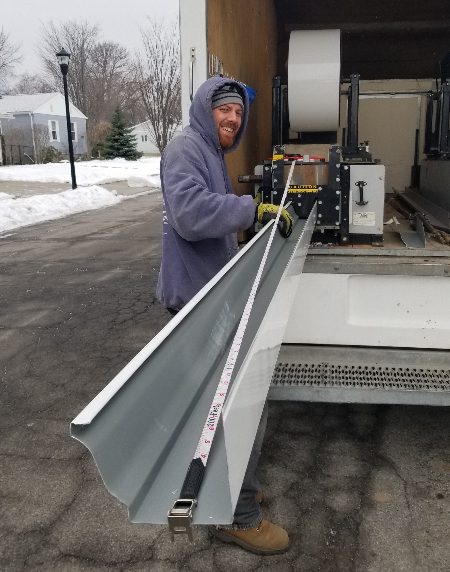 Our knowledgeable and experienced team would be happy to come to you and make your custom seamless gutters on-site. Seamless gutters prevent water from running down the side of your home which can cause your foundation to become saturated and crack. They prevent water from ruining your doors and windows as well as landscape and walking areas.